Product positioning helps brands identify the values that a companys products offer to target customers relative to the value offered by competitors. It highlights the most important benefits that differentiate the product from similar products in the market. Product positioning hinges on customers. Time and again, companies must redefine their product positioning to appeal to an entirely different segment of customers. This can be done either for a new line of products or for existing products with slight or no modifications. For example, Hersheys came up with new products for adults and repositioned itself to include grownups in its target segment. It helped Hersheys to beat its competition and increase market share. Similarly, Harley Davidson decided to include women in its target segment after a study suggested that nearly 10 percent of motorbike riders were female. It started promoting a range of motorcycles with lower seats along with organizing various road shows for women riders. The company also released some instructional videos featuring women. In both cases, the brands retained their main customer base–children for Hersheys and men for Harley Davidson. But in one of the most successful cases of product repositioning, a brand–Marlboro–changed its customer base completely. 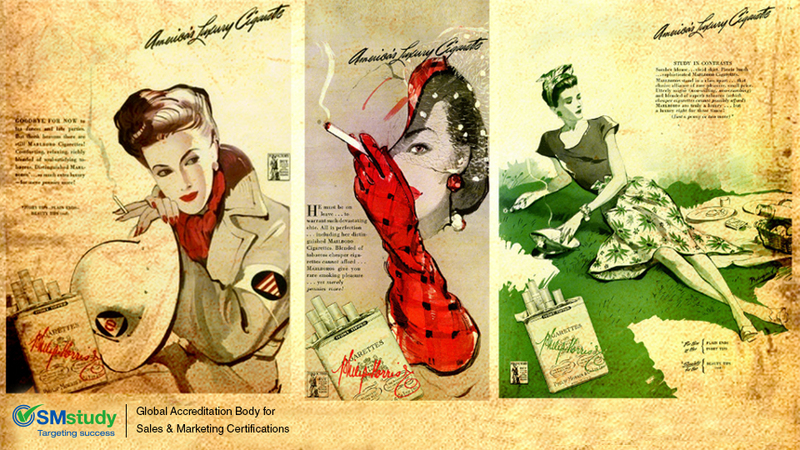 In the 1920s, the world-famous cigarette brand targeted female smokers by stressing that the cigarette was “Mild as May.” In the 1950s, it tried to reposition its brand to target a larger market–men. That was around the time that studies linking cigarettes to lung cancer were first published. Many smokers perceived filter cigarettes to be safer but were wary of smoking them as only cigarettes for women were filtered. So, Marlboro was reintroduced with the “Tattooed Man” campaign. Ads portrayed healthy, sporty, and outdoorsy men, such as a cowboy, which sent a positive message to prospective customers. It was such a successful transition that the Marlboro Man became not just a representation of a cigarette brand but also of masculinity.